Cardmakers, rejoice! There’s a new stamp set in town that will bring a whole lot of sassiness to your cards: the My Acrylix® Hello, Life!—Cardmaking stamp set. We’ve designed this beauty as part of our National Stamping Month trio of stamp sets, and its specialty is creating cards of all kinds. Don’t you just love receiving handmade cards in the mail? Think about it—the thrill you get seeing your name written on an envelope that’s obviously not a bill or a summons to jury duty. You love that feeling, and if you’re a cardmaker, you love giving that feeling to other people, too. 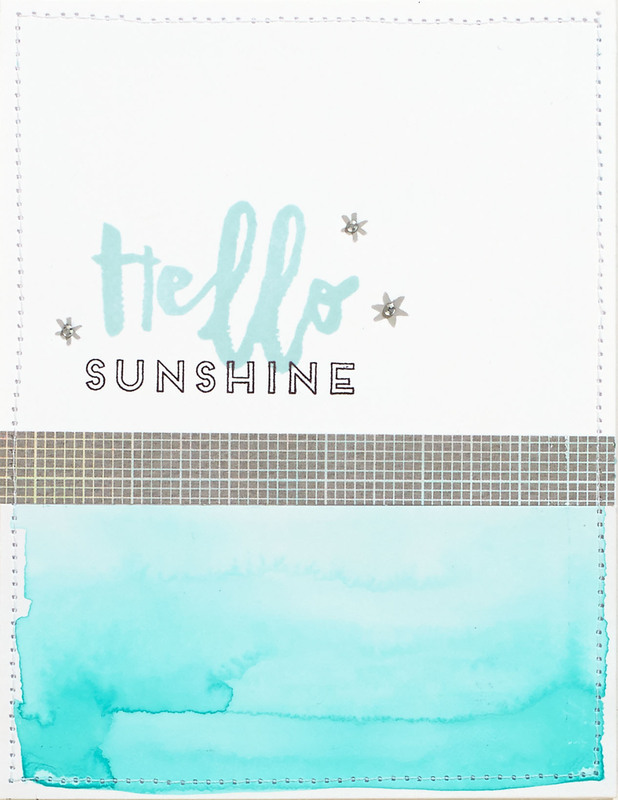 A heartfelt card brings sunshine to everyone’s day! 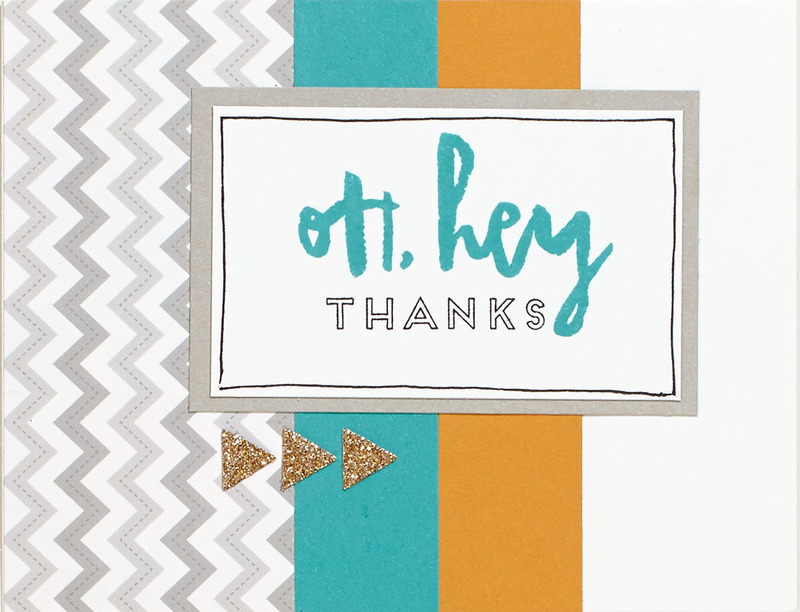 This sunny stamp set features big, bold greetings like “Hello” and “Oh, hey,” that are sure to get the recipient’s attention, paired with a variety of other sentiments and phrases you can use. Though the card above features gorgeous blue hues, it would be hard for anyone to feel blue after opening it up. …what could be more formal than a black tie? 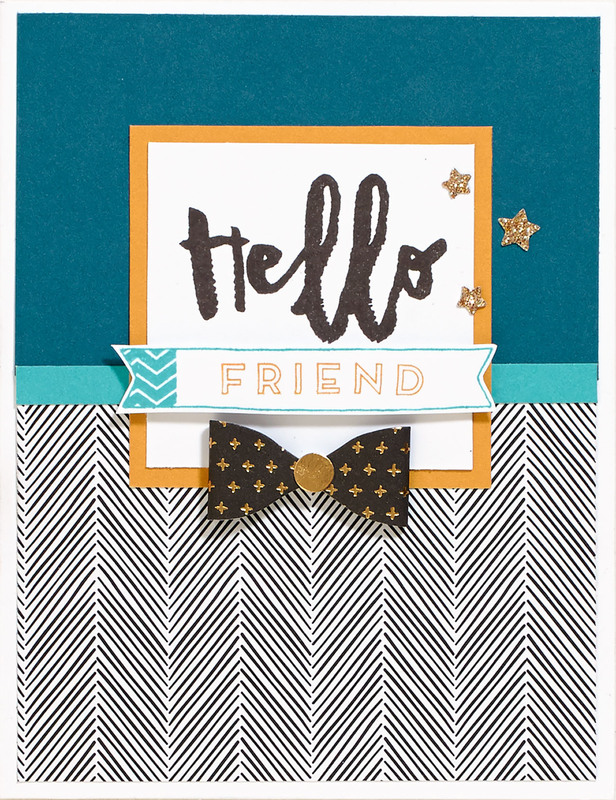 Even when dressed to the nines in herringbone patterns and an irresistible black bow tie from our black Fundamental assortment, this card still carries such genuine thoughtfulness. 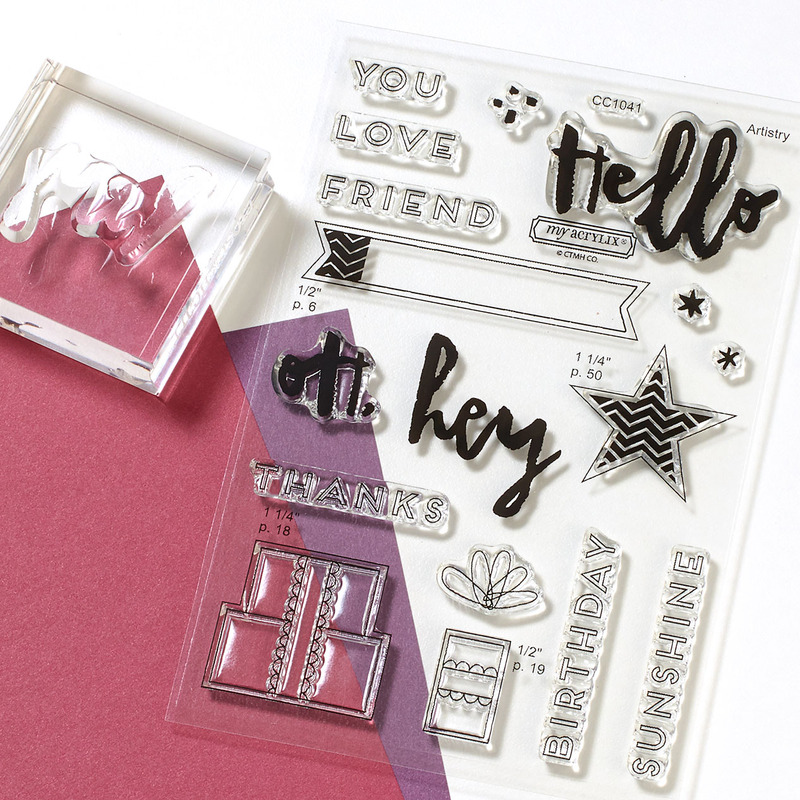 The My Acrylix Hello, Life!—Cardmaking stamp set is only available as part of our National Stamping Month celebrations, which end September 30, so get it before it’s gone! And remember, it’s one of three sets that we’ve designed to work together in perfect harmony for a wide variety of crafting projects. Check out the hashtag #ctmhhellolife on Faceboook, Instagram, and Pinterest to see even more artwork being made with this trio of exclusive stamp sets. Happy stamping! Wow! These cards are gorgeous!!! Love the cute bow! Sweet! I just cut out an entire sheet of White Daisy cardstock with the coordinating Cricut Artistry cuts. I can’t wait to play with this stamp set later. Thank you CTMH! Hey April! I loved the post on the stamp set. It contains a lot of valuable information. Thank you for taking the time to write this! Love ALL your cards! I’m Sue Kilgore’s niece and hope to see a LOT more of these! I love this stamp set! All three of these special edition ones, actually! These cards are gorgeious!